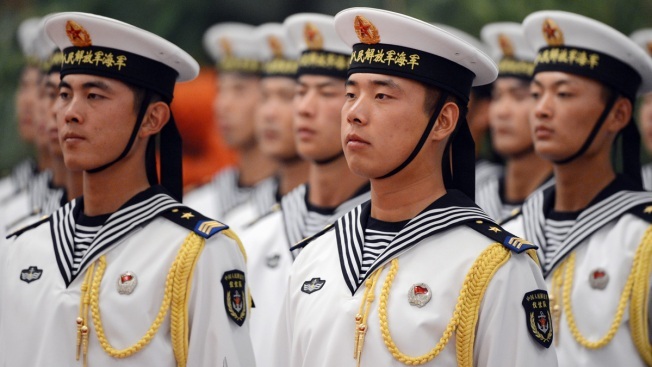 In this Sept. 6, 2012, file photo, Chinese sailors form an honor guard during a welcoming ceremony at the Great Hall of the People in Beijing. China tested the world's most powerful naval gun earlier this month, and it is expected to be ready for warfare by 2025, according to people with direct knowledge of a U.S. intelligence report. US intelligence: China will have world's most powerful naval gun ready by 2025 from CNBC.